Is Roswell making a comeback? Deadline reports The CW has ordered a pilot for a reboot of the WB/UPN TV show. What do you think? 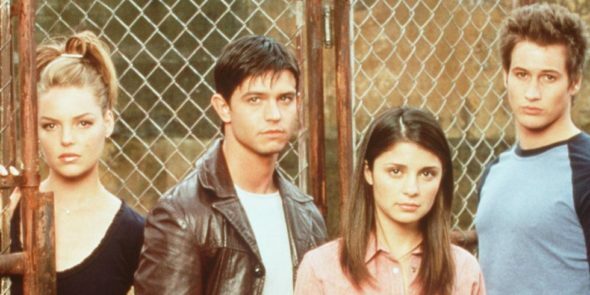 Did you watch the original Roswell? Would you watch The CW’s reboot? i loved the show, looking forward to new show. The series finale really sucked & left us in limbo. Seriously, they drive off in an old van? And old man (lawyer) Evans let the military ******** search & tear apart his house? I would LOVE to see them fix that mess! Maybe Kyle is a sheriff with powers? People seem to ignore that Roswell was inspired from a book series, Roswell High. The show was really different (basically they just kept the name of the major characters). So this news show, would be the reboot of the adaption of old books from the 90’s. I was younger when I watched the original, but I liked it. I wouldn’t mind seeing a reboot, if it is close to the original…. Thanks, but no thanks. I’ve had enough social justice bs from CW. Well to be fair in the books that inspired the show, Liz, the major female character was a latina, her name was Liz Ortecho I think. They changed it in the show. So making her the daughter of immigrant would be closer to the books that the original show actually was.